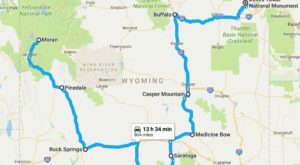 Wyoming’s leaf peeping season isn’t quite the same as it would be in a state full of oaks and maples like Massachusetts, but that doesn’t mean we don’t get our fair share of fall colors. 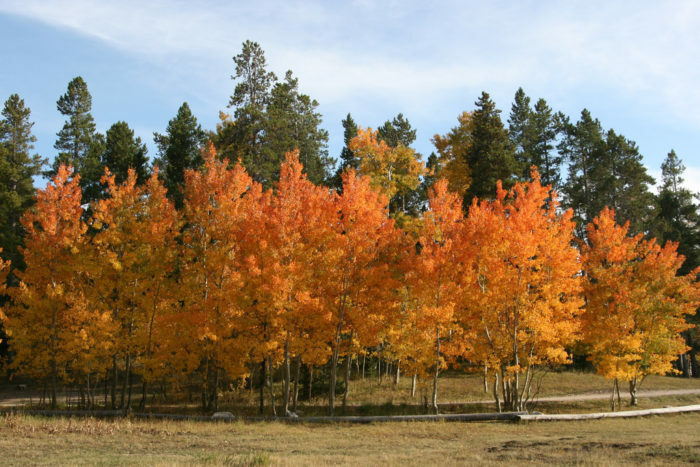 There’s nothing like seeing the bright and bold colors of the aspens standing tall against the darker colors of our evergreen forests and staggering mountains. 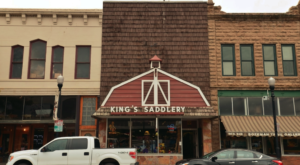 When you’re looking for a great autumn scene in the Cowboy State, check out these places below. 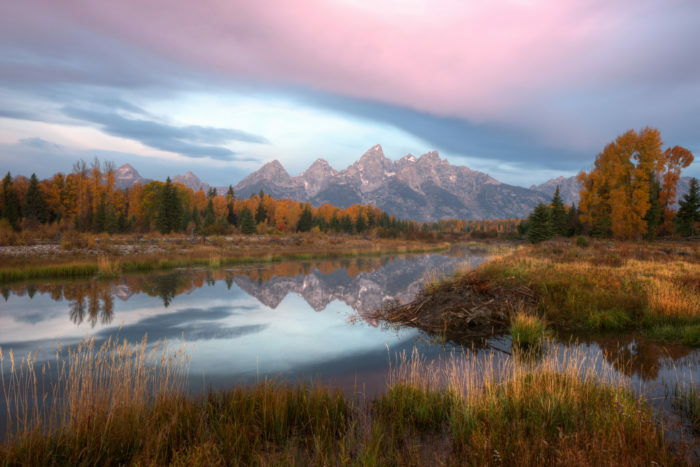 Oxbow Bend is famous for its view of Mount Moran over the gold, red, and orange aspens that light up in the fall. Get here early for a sunrise you will remember for the rest of your life. 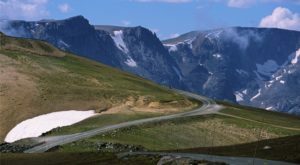 The Beartooth Highway is open for a few more weeks, and if you make the journey, you'll be treated to stunning views of aspens and alpine lakes, as well as the pine trees and mountains that tower above the treeline. 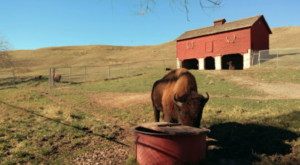 Arrowhead Springs is a small, unincorporated community near Rock Springs. 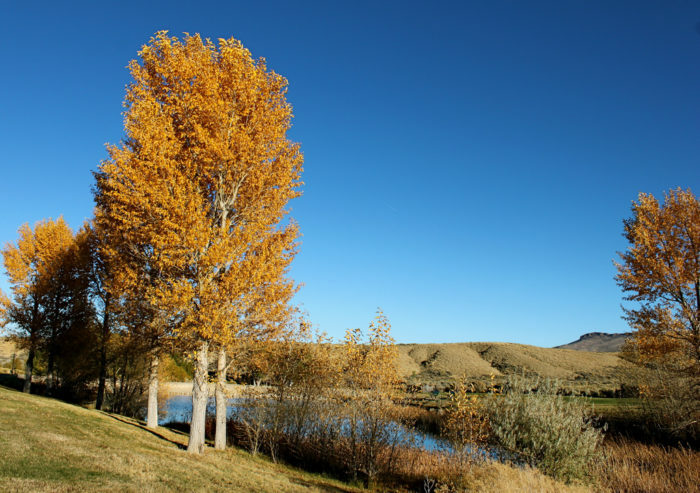 In a spot dominated by sage brush, there are a few ponds and aspens that provide a breathtaking contrast to the usual landscape. 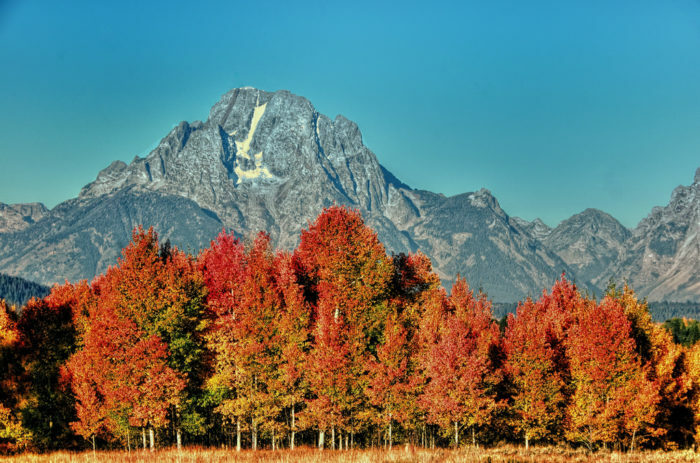 Schwabacher's Landing is something truly special in the fall. Head here in the early morning to catch the sun lighting up the aspens, and chances are you'll see a moose or two snacking in the reeds. 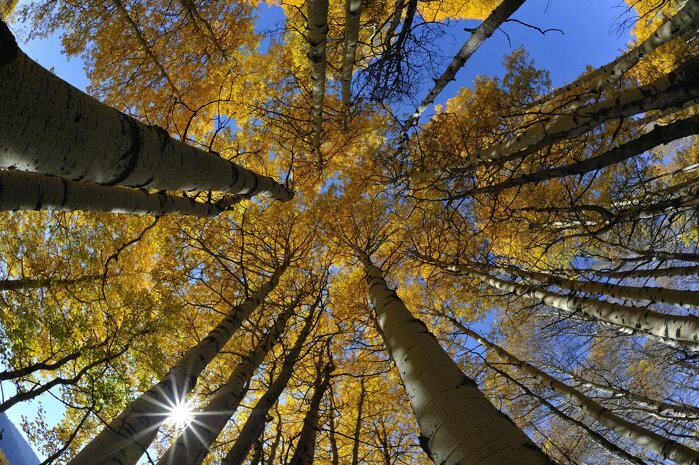 Hiking along Casper Mountain in the fall is a truly magnificent experience! Get away from the busy town and escape into the wilderness, where you'll find all sorts of wildlife and stunning fall foliage. 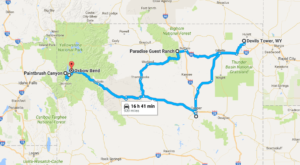 Little Mountain is located near the Flaming Gorge area of Wyoming, and it's a great place for wildlife spotting! In the fall, pair your tracking with leaf peeping to see this spot at its best. 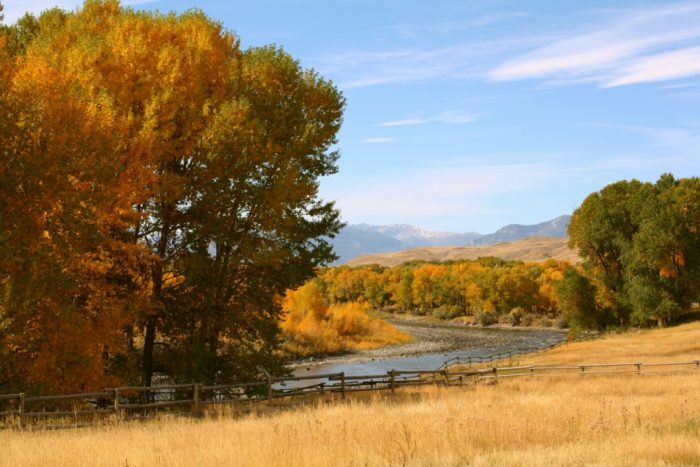 Castle Rock towers high above the Shoshone River near Cody, and you'll find gorgeous fall foliage throughout the area. 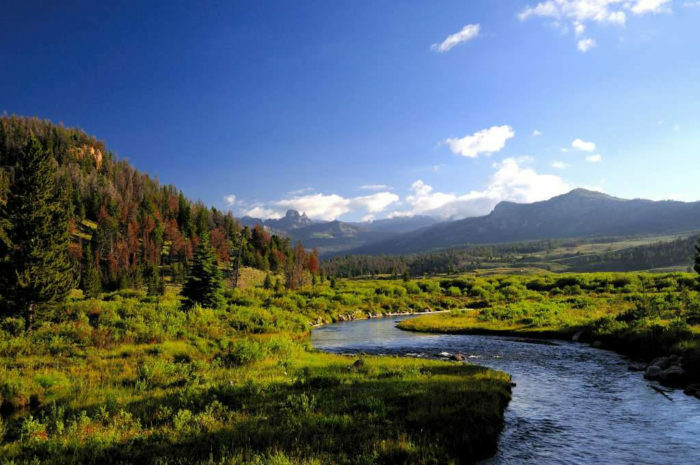 Quaking Asp Mountain, otherwise known as Aspen Mountain, is named because it towers above the Sweetwater sagebrush to create a gorgeous Aspen paradise! 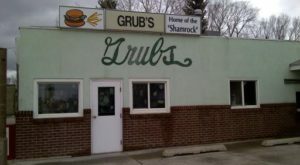 In the fall, this may be the most unique spot in the state. 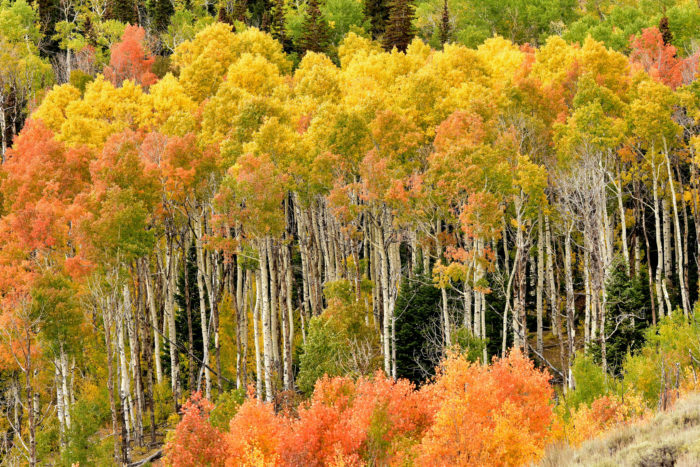 It's easy to see why Aspen Alley along the Battle Pass Scenic Byway would be a must-see for leaf peepers! 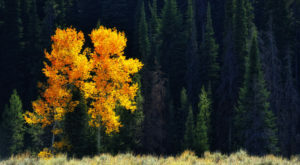 Enjoy the beautiful trees that turn bright gold as autumn begins in Wyoming. 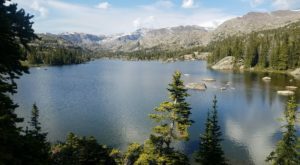 Backpackers already know that Shoshone National Forest is one of the best places in the state year-round, but in the fall, it is truly breathtaking! 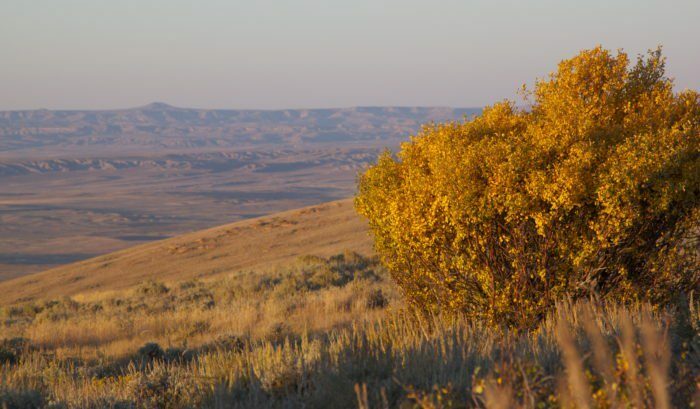 Where do you love to go leaf peeping in Wyoming? 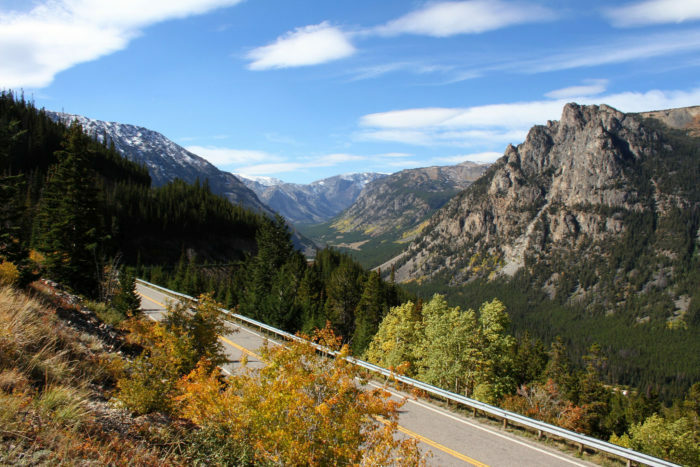 My favorite spot is Bighorn National Forest – where you’ll find the colors overwhelming when they start to turn.